A unique limited edition gift set boasting an extra large, 1,5l bottle of Hennessy's flagship VS Cognac, a creation of over 40 different eaux-de-vie. The taste is young and vibrant. Aromas of citrus fruit, apple, French oak, toasted almonds, and fresh grapes. Hennessy JonOne Deluxe Edition Gift Set is an extension of the latest Limited Edition by Cognac Hennessy in 2017. JonOne is a Dominican Republic born street artist who now commits his works of art to the canvas as well. This special gift set is therefore presented in a carefully designed can of colorful paint. The unique limited edition features an extra large, 150cl bottle, a sketch notebook, and jigger. Super fun! 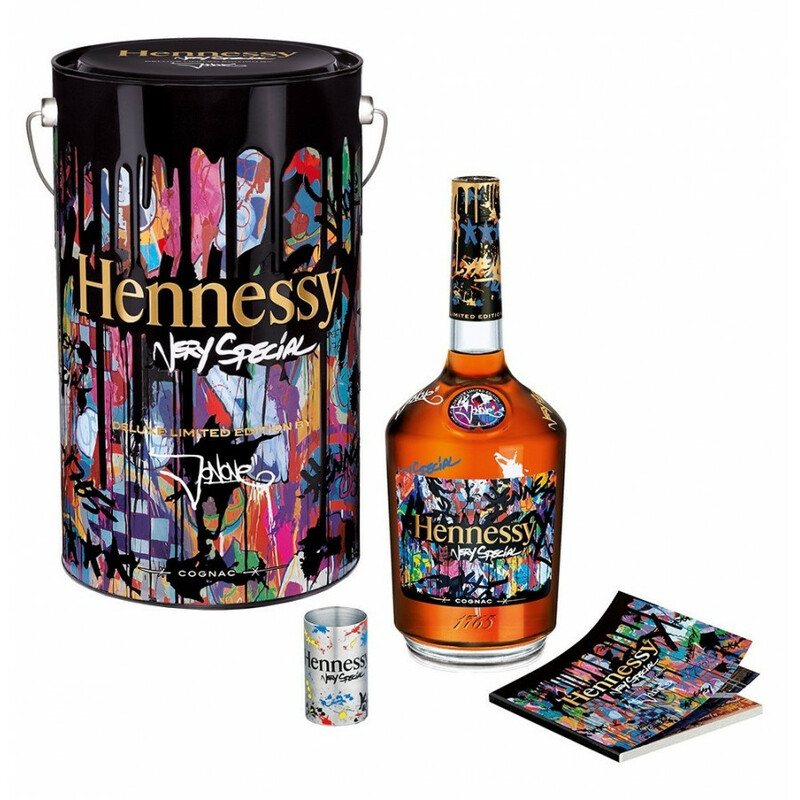 The design has been created in collaboration with Hennessy, and both the bottle and the packaging are adorned with the bright primary colors JonOne has used for this unique design. The layering of the colors signify the layering of the tastes and aromas used by Hennessy's cellar master in the making of their blends. This limited edition bottle and packaging contains the regular Hennessy VS–a fresh, vibrant Cognac that can be enjoyed neat, over ice, with a mixer, or as a component of a cocktail.